We all love a good tune, but there’s so much more to music than meets the ear. Music teacher Kerry McArthur explains how music helps your child to develop. Music is a vital part of a child’s development. Singing and music in general interact with many aspects of our lives e.g., culture, theatre, celebrations, and movies – it’s a very important part of life. In the home, music should become part of our daily lives. 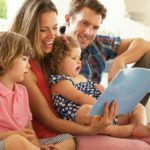 From birth, parents instinctively use music to calm their babies: they engage and play with their children through songs and singing. So, it’s important for parents to understand the value of music in the early years. According to Susan Hallam from the University of London’s Institute of Education, speech and music have a number of shared processing systems in the brain. 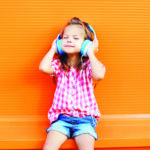 This means that listening to and singing along to songs can lead to improvement in a child’s understanding of language. A 2016 study at the University of Southern California’s Brain and Creativity Institute found that musical experiences in childhood can actually accelerate brain development, particularly in the areas of language acquisition and reading skills, and according to the NAMM Foundation, learning to play an instrument can also improve mathematical learning. Even with all this academic evidence to support the exposure to music, it is equally important to take note of the other areas that music impacts, from social interactions, rhythm, balance and co-ordination, along with memory and other cognitive skills. Fine and gross motor skills are developed through movement, clapping, dancing, etc. Creativity and maths skills are built through patterns in the rhythm of music, and the natural body movement that matches types of music. Even basic songs that preschoolers sing will have repeating patterns with rhythms that children will naturally go along to. 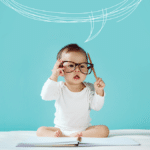 Your toddler does not need to master a musical instrument or even start playing an instrument. There are many ways that music can be integrated into their daily lives at home and at school. 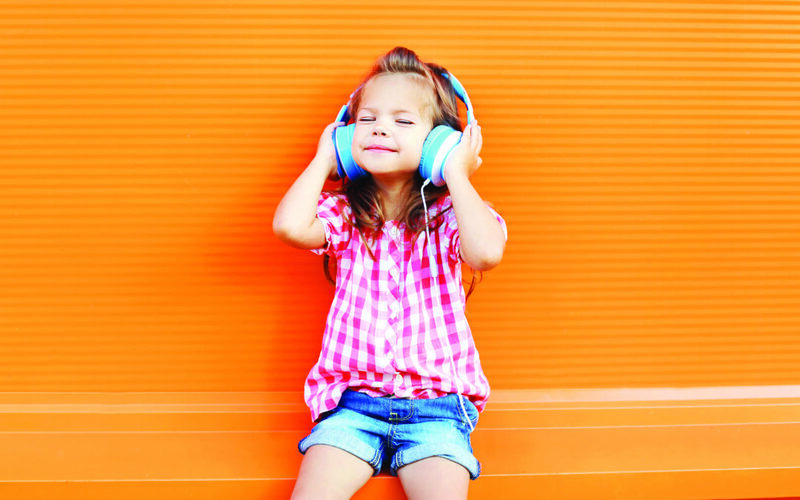 To see the effect of music on children, all you have to do is put on a catchy tune. Before you realise it, they will start bopping, moving and clapping to the music. Music is in all of us without much effort. Children, without thinking about it, naturally make up songs and sing to themselves without any thought of people around them, and this progresses to singing in groups or learning to play musical instruments. If your child is battling to grasp a concept or a behaviour pattern, putting it to music not only makes it fun, but cements the information without much work being put into it. There is value in the songs like “Clean Up, Clean Up” from Barney (I still catch myself singing it). 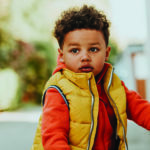 With toddlers, the repetition is key to remembering songs and the concepts connected to them, so try playing games while singing a well-known song like “Twinkle, Twinkle, Little Star”. Replace the word ‘diamond’ with ‘tea tray’ or another similar silly word, and your toddler will soon pick it up and point it out, making them laugh and build memories. Music therapy can help to relieve pain and reduce stress and anxiety. It can also result in physical changes including improved respiration, lower blood pressure, reduced heart rate and relaxed muscle tension. But there are also benefits in learning an instrument, which children can start doing from as young as three, bearing in mind that the initial lessons should be informal and fun, and not be focused on the actual instrument but rather rhythms, movement, and identifying melodies . Slightly older children – at about age five – can start learning to play instruments like the piano or violin. It is common for parents to think about introducing guitar, but the concern with this is that the instrument that is chosen must match the development of your child. A guitar can be hard on a child’s hands and fingers and should only be started when they are ready for this. By age 10 the focus switches to improving performance and skill on the chosen instrument. Why is learning an instrument important? Above all, music is fun and everything linked to music from songs to movement and from informal sessions to formal lessons should be underpinned by a love for music and the benefits that surround it.